Yesterday France's National Data Protection Commission (CNIL) slapped a formal order on Microsoft to comply with data protection laws after it found Windows 10 was collecting "excessive data" about users. The company has been given three months to meet the demands or it will face fines. Microsoft has now responded, saying it is happy to work with the CNIL to work towards an acceptable solution. Interestingly, while not denying the allegations set against it, the company does nothing to defend the amount of data collected by Windows 10, and also fails to address the privacy concerns it raises. Microsoft does address concerns about the transfer of data between Europe and the US, saying that while the Safe Harbor agreement is no longer valid, the company still complied with it up until the adoption of Privacy Shield. It's interesting to see that Microsoft, in response to a series of complaints very clearly leveled at Windows 10, manages to mention the operating system only once. There is the promise of a statement about privacy next week, but for now we have Microsoft's response to the CNIL's order. 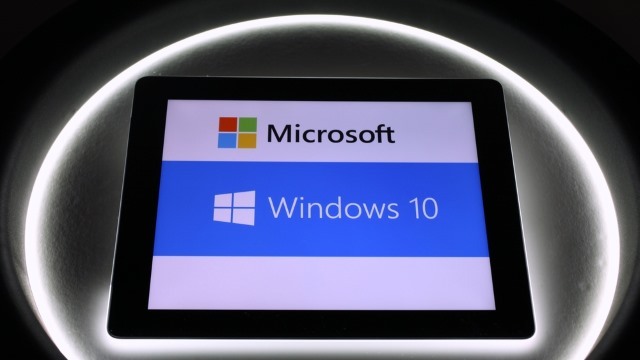 Earlier today Microsoft received a notice from the French data protection authority, the Commission Nationale de l'Informatique et des Libertés or CNIL, raising concerns about certain aspects of Windows 10. The notice gives Microsoft three months to address the issues. We built strong privacy protections into Windows 10, and we welcome feedback as we continually work to enhance those protections. We will work closely with the CNIL over the next few months to understand the agency's concerns fully and to work toward solutions that it will find acceptable. The CNIL noted that the Safe Harbor framework is no longer valid for transferring data from European Union to the United States. We fully understand the importance of establishing a sound legal framework for trans-Atlantic data transfers, and that is why Microsoft has been very supportive of the efforts on both side of the Atlantic that led to last week's adoption of the Privacy Shield. As the European Commission observed, Microsoft's January 2016 Privacy Statement states that the company adheres to the principles of the Safe Harbor Framework. Microsoft has in fact continued to live up to all of its commitments under the Safe Harbor Framework, even as the European and U.S. representatives worked toward the new Privacy Shield. As we state in our privacy statement, in addition to the Safe Harbor Framework we rely on a variety of legal mechanisms as the basis for transferring data from Europe, including standard contractual clauses, a data transfer mechanism established by the European Commission and approved by European data protection authorities, to cover data flows from the European Union to the United States. Microsoft will release an updated privacy statement next month, and that will say Microsoft intends to adopt the Privacy Shield. We are working now toward meeting the requirements of the Privacy Shield.